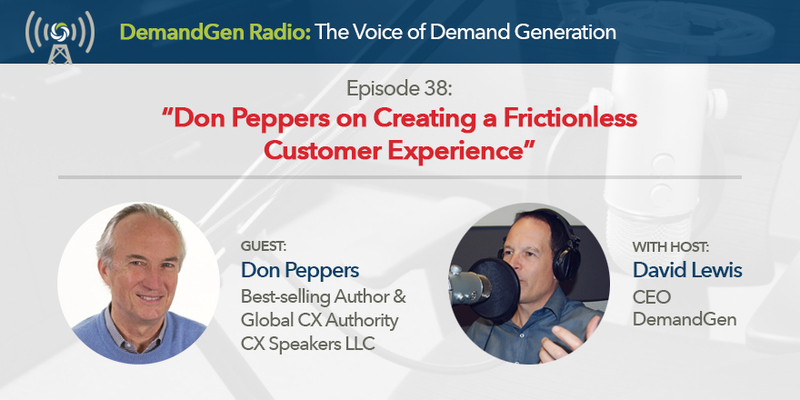 You are in for a real treat listening to this episode with marketing legend and best-selling author Don Peppers. For three decades, Don’s mission has been “Making the world safe for customers” and he accomplishes this by educating business leaders, marketing teams, and customer service teams on how to compete in a dynamic, technologically fast-moving world through a frictionless customer experience. Peppers has written nine books with business partner Martha Rogers, collectively selling well over a million copies in 18 languages. Don and I talk about case studies, like Amazon, to highlight companies that do it right. Get ready to be inspired. I have no doubt you’ll take away ideas on how your team can surprise and delight your customers.